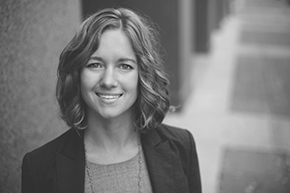 Leslie primarily represents businesses, listening carefully to the goals and operational approach of the business and working closely with the owner or company representative to find smart solutions to complex problems. Leslie loves seeing the spark in the entrepreneurial eye of a new business owner, and is drawn to assist a business owner, or soon to be business owner on the path to legal compliance and business success. 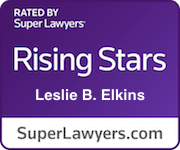 Leslie counsels business start-ups regarding entity choice, entity registration, client contracts, trademark registration, compliance as well as serving as a seasoned pair of eyes for potential legal pitfalls. Leslie loves the challenges her established business clients bring to her on a daily basis. She provides legal representation in a variety of matters plaguing business owners including intellectual property concerns, lien filing and enforcement, contract disputes, business and asset sales and purchases, as well as employment issues. In her career, Leslie has represented both employers and employees in a multitude of employment matters, and uses this experience as an invaluable tool to understand both perspectives in successfully representing her clients regarding employment concerns. Drawing on her employment experience, Leslie provides representation regarding employment discrimination and retaliation, wage claims, independent contractor analysis, employee handbooks and employment contracts, unemployment insurance issues, worker’s compensation matters, FMLA compliance, prevailing wage compliance, and defense in administrative agency matters. Leslie is no stranger to the courtroom and represents clients in matters including trademark and copyright infringement, business owner disputes, and contract disputes. Leslie graduated from the University of Illinois in 2006 with a Bachelor of Arts in Spanish and Economics, and received her law degree in 2009 from Chicago-Kent College of Law. She began her career in Chicago working in criminal defense before moving to Wisconsin and working for a non-profit, and then settling into her preferred role representing small businesses. 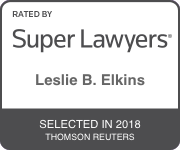 Leslie is licensed to practice law in all state courts of Wisconsin and Illinois, as well as the Western District of Wisconsin, Eastern District of Wisconsin, Northern District of Illinois and Central District of Illinois. Leslie is proficient at reading, writing and speaking Spanish. She is a member of the BNI Champions Chapter and a Fitchburg Chamber Ambassador. Leslie has always loved small businesses, shopping small and independent whenever possible. When not working, Leslie spends as much time as possible outdoors with her family, and enjoys swimming, skiing, biking, camping, growing food, cooking and traveling.